There has been a lot of chatter regarding the Lexus brand coming into India over the past few months. However, Toyota has been tight lipped on the same. A few Lexus vehicles were previously imported into the country for homologation purposes which means that the company is planning to enter the Indian market soon. Just last week, a batch of 14 new RX450h has been imported into the country. 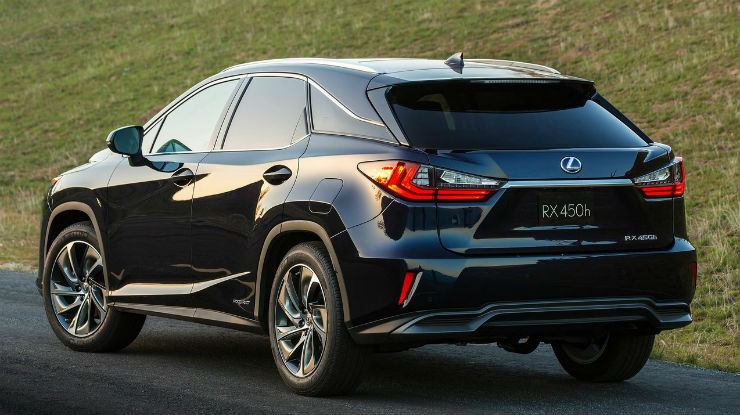 Now there have been a few private imports and a few consulate cars that have been imported before as well, but the fact that 14 cars were imported at the same time means that the this will most likely be Lexus’s first vehicle to launch in the country. The RX is a mid size SUV. The variant coming to India will be the hybrid one and since the car will only come as a CBU, it will certainly be an expensive offering. Going by how Toyota has priced the Land Cruiser, we expect this model to start around Rs 95 lakhs based on the import costs of the car on Zauba. Powering the car is a 3.5 liter V6 combined with an electric motor. The overall output of the car is roughly 308 Bhp and the engine is mated to a eCVT gearbox. There is an AWD and a FWD version available in the global market and there is no clarity as to which one will make it to the Indian market. Since the vehicle is a hybrid, expect the vehicle to get a rebate under FAME and also expect adequate fuel economy. On the equipment front, there is no clarity as to what loadings we will get in the Indian market. Internationally there are a lot of options like electronic tail gate, blind spot detection system, key-less go, 9 speaker entertainment system with DVD player. Since the vehicle will be priced high, we expect it to come with most of the bells and whistles. The brand is well known around the world as it is one of the very few Japanese brands to compete in the highend luxury car space. The reason why people choose the Lexus brand is mainly down to the Japanese reliability. Since most Indian people who reside in the US opt for the Lexus brand, it will be interesting to see how the people in India react to the brand.